Cheap Neon Puzzle Cubes - 12 Ct. Looking for a party favor for your next neon 80's party? 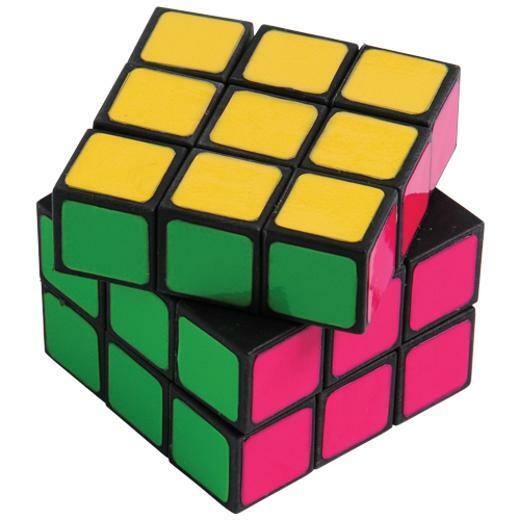 These brightly colored neon puzzle cubes are the perfect giveaway for guests young and old. Built like a Rubik's cube, these will boggle the mind and provide a fun challenge! L: 10.25 in. W: 7.6 in. H: 2.55 in.